Low-foaming, low-use rate, nonionic siloxane surfactant moves spray solution up and down plant for superior coverage. 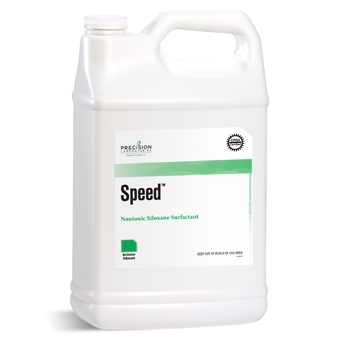 Speed is drift retardant compatible and should be used with pesticides that rely on coverage as a primary method of offering control or protection. Always use the rate of nonionic surfactant recommended on the pesticide label.